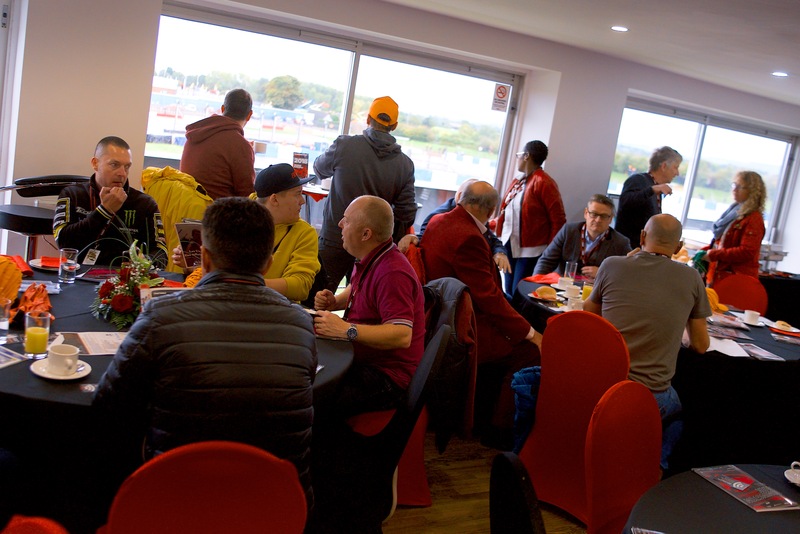 With 500 guests, 2000 orange hats, a double page spread in Autosport magazine, article in the programme and 50 guests in VIP hosoitality we were finishing the season on a high! Alex was on the pace in testing following and engine change and was looking good for the weekend. Alex qualified seventh on the grid for race one, which was held in wet conditions on Saturday afternoon. Race One – A storming start saw Alex rocket up to P2 on the opening lap, but a set-up gamble would work against him as he found himself struggling for rear-end grip as the race wore on. As a result, he would slip back to sixth spot by the finish – not helped by a five second time penalty for exceeding track limits. Race Two would prove to be a chaotic affair, with Alex moving up two spots at the start before the safety car was deployed for an incident further down the field. With only 4 racing laps left when the safety car was withdrawn, Alex battling hard to find a way ahead of rival Geri Nicosia. 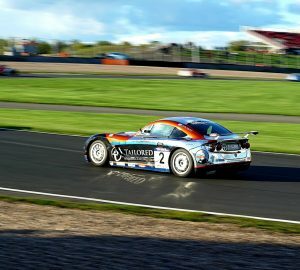 After a great battle he secured a place on the podium following an astonishing move that saw the pair run side-by-side for almost half a lap before Alex edged ahead into The Esses. Race Three – Reverse grid meant Alex started 7th with another strong start vaulting him up into P4 on the 1st corner before an accident forced officials to halt the action and the race had to be re started. Unfortunatly as Alex set off for the green flag lap his door would not shut! He was forced to dive into the pits before the restart to allow the team to fix it and so was only able to join the action once the race had got underway. With only 6 laps remaining Alex made sn astonishing run to the finish which saw him lapping quicker than anyone else on track as he not only caught the pack ahead, but also climbed up to twelfth spot by the time the chequered flag dropped making up 14 places. “We faced every all conditions over the weekend and we were strong in all of them,” he said. 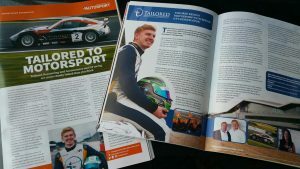 “The car was absolutely awesome and the team had fixed the issues with the engine that we had at Knockhill & Spa, which allowed us to return to the kind of form we know we are capable of. 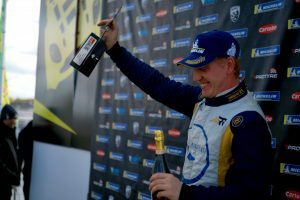 “The start to Race one was great but we had taken a bit of a risk with the set-up on the car and as the race wore on, I was struggling with rear traction and couldn’t maintain my place. Race two however was awesome and to get a podium finish from the few racing laps there were was brilliant. It’s a result that was overdue and came after one of my best moves of the season to get the place from Geri. Race three was unfortunate because we’d made up places before the red flag and then I had to pit before the restart, which meant I was at least five seconds off the back of the pack when the lights went out. Alex ends the season fifth in the championship standings with a pole position and four podium finishes to his name.